We Have Direct To The Manufacturer Selling Contracts For Some Of The Best Pre-Mixed Pointing Mortars On The Market Today. 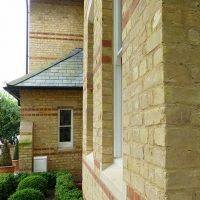 Pointing mortar is the decorative but functional material that separates the individual courses of brick or stone slips from one another. It’s not an adhesive as most people think. Pointing mortar helps iron out any levelling problems when building a feature wall and acts as a decorative feature. A standard sand and cement mortar can be used. Using a ratio of 1 cement to 2 soft sand and pushed into the joints using a pointing trowel. If you wish to use a pointing gun or mortar bag this ratio may need to be tweaked. If cladding slips are installed externally then we would recommend that they are pointed to prevent water ingress and to help stop the slips from “popping” off the wall. If the slips are installed internally then the answer would be entirely up to you. Slips look great pointed or un-pointed. By not pointing the slips the eye would be drawn to the slips themselves and given the effect that the wall is being deconstructed. We have direct to the manufacturer selling contracts for some of the best pre-mixed pointing mortar on the market today. Therefore, on most orders we can beat the prices of our competitors that are currently on the internet. 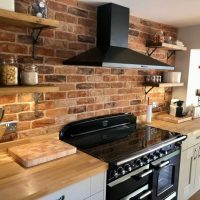 We would recommend that you ask us to cost up the correct pointing mortar for your project when you are enquiring about your wall cladding product. Higgins Wall Decor Store has consulted with many of our preferred installers and have selected a range of pre-mixed pointing mortars that will be suitable for most construction and renovation projects. These products have been trialled and tested in most building environments by our installers and have proven to have an exceptional practical test record. Both in application and coverage.